A super probiotic drink. It is made by fermenting tea with a SCOBY, which is an acronym that stands for a Symbiotic Colony of Bacteria and Yeast. 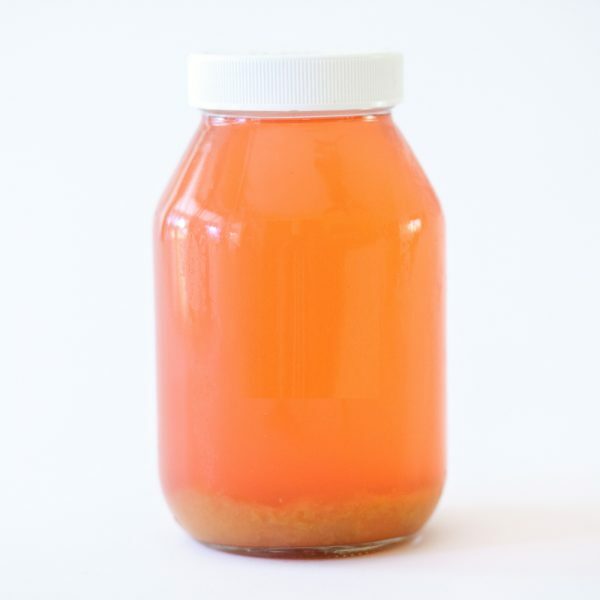 During the fermentation process, the colony produces 100’s & 100’s of probiotic microorganisms, and it can be loaded in antioxidants, amino acids, and vitamins. Flavors are seasonal and dependent on what is obtained from local farmers Kombucha is good for 3-4 weeks.